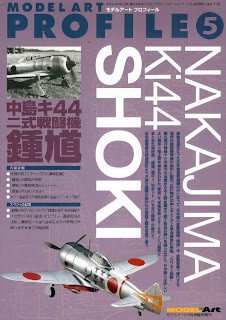 Aviation of Japan 日本の航空史: Model Art Profile 5 - Shoki! Hard on the heels of the Hasegawa 1/32nd scale Shoki or stepping through the door just ahead of it is Model Art's new profile on the type. This follows the pattern set by the Hien profile in having an English summary section at the back - a great idea! The book consists of a colour build feature of the new kit, followed by a section of colour paintings of Shoki details from the Model Art monthly magazine series - useful (and matt brick red prop painters take note - the colour is DARK BROWN and it is GLOSSY!). Then there is a colour build feature of two of the Hasegawa 1/48th kits, showing 'typical' colour schemes. The main body of the book is a Development and Operational History all in Japanese, with b/w photos and plans (from the FAOW books), including a technical description and details section, with sketches and diagrams from the original aircraft manual (now available online at JACAR) and a "Best Photos" album. Most of the photos have already appeared in previous Bunrin-do publications and there were only a couple new to this reviewer. Unfortunately in some cases the photo reproduction is poorer than in previous publications. 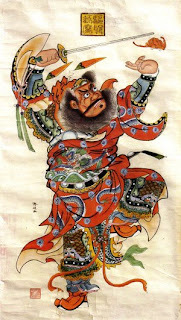 Whilst each principle user of Shoki is covered there are some omissions, mainly due I suspect to the lack of available photographs. 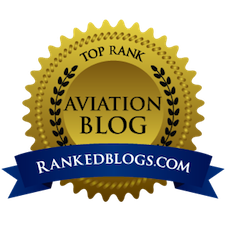 For example the 33rd Sentai use of the aircraft in small numbers is not mentioned. The operation of Shoki by the 50th and 64th Sentai in Burma is explained in more detail than before but there are still some unanswered questions to explore about this. The experimental use of air-to-air rockets and other weapons by the Shoki of the Yasen Hojû Hikôtai at Singapore is not mentioned at all. The final part of the book is the Painting and Markings section and this is the most disappointing. The profile views are from the FAOW on the type, whilst the new schematics showing camouflage schemes as three-quarter front colour images are quite crude and arguably not very accurate. 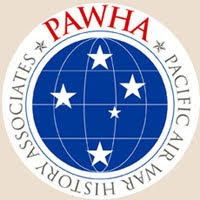 For example the rendition of the 47th Independent Chutai (Kawasemi Butai) aircraft bears no resemblance to the real appearance of the paintwork. It was not a solid covering of brown paint but an overspray of different densities almost like a heavy mottle. In other images there is no differentiation between natural metal and grey/grey-green paint - and no explanation in the translated text - which may confuse those seeking to model the examples. The well-known mottled 246th Sentai example '338' is shown but unfortunately the colours are not explained. 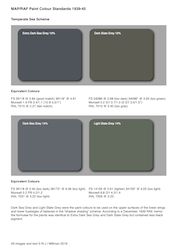 There is a chart of printed (unfortunately) colour chips with explanations in English. 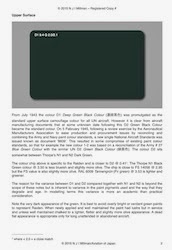 It is reassuring that Nohara-san has finally accepted the existence and importance of JAAF #7 but then he spoils it by insisting that this colour should be described as "khaki brown" and offering a suggested FS 595b equivalent (30118 - which is sometimes cited as an equivalent for RAF Dark Earth) which is misleading to a true understanding of the olive drab nature of this colour! Ah well, softly, softly. The ubiquitous #21 'midori iro' (green colour) also emerges at last, although I fear Nohara-san has confused it with #27 'ao midori iro' (blue green colour) in selecting the chip colour and the closest FS 595b values, but it looks as though we might finally be able to put to rest those notions of "deep green", "brown green" and "late war brown", etc., and accept the fact that Don Thorpe was pretty much on the money all along. The Army "aotake" chip is very poor, appearing as a bright mint green and the explanation of its use in respect of Shoki is somewhat confusing. 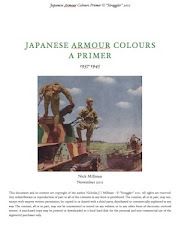 The text mentions the unique 85th Sentai China camouflage, supported by very poor reproductions of photographs, but does not identify the colours or attempt to show them. The lovely 29th Sentai wave marking is shown, its existence challenged for years until photographs emerged, as well as the lesser known skull marking. The final part of the book is the English summary and full marks to Model Art for including this. Shoki has received scant coverage in the past and the absence of any extant examples has precluded the Aero Detail treatment so any coverage is welcome. This profile, however, is by no means the last word on the type and it is disappointing that so much of the imagery has been published before. The book is still worth obtaining as a guide if you are embarking on building Shoki models, especially if you have none of the earlier references, but it cannot be considered as definitive and the opportunity to include some really spectacular graphics of a very charismatic aircraft has been missed. I have not yet checked content against content but the coverage of the 40mm armament in the new book appears identical to that in the FAOW. Whilst there is an English summary for the captions the body of the text in Japanese is not translated so there may be additional information contained within. Thanks again- I was hoping there would be a bit more on that variant as along with the Kawasemi aircraft they're my favorite Shoki. 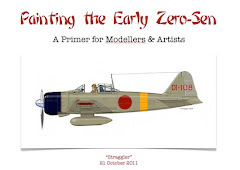 thank you for your review of new ModelArt book! :) Glad you're back! My copy arrived over the weekend and I must say I agree completely with your analysis of the coverage in the book.....it is presented well enough, but the lack of any real new images or information is a drawback for those who have been buying books on J-subjects for years.